Many online businesses put all their emphasis on on-page optimization when it comes to Website’s SEO. However, how a website is designed and developed is also vital. Search engines want to ensure that the user’s get the best experience when they use their platform. Which means, besides on-page optimization, search engines give preference to websites that value user experience. Which is where design and development come in. A website should have a fine balance between being “technology-centered” and “user-centered.” You need to optimize both the design and development to focus more on users if you truly want to rank higher on search engines. We have 4 aspects within a website that you can focus on to improve the user experience. The main reason why users go to a website, even when looking for services, is to gather information. Search engines understand this, which is why it is important to have proper navigation and ensure information is easy to find. But even before you focus on navigation, you need to have your information architecture (IA) sorted out. The IA makes sure you have all the services, information, and products drawn out and make them as easy to find as possible. Think of it as the blueprint of information and how it is laid out on your website. Based on this, you will create the navigation of your website. 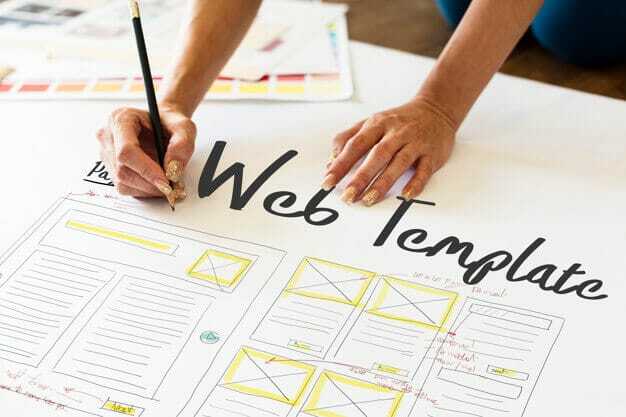 It is also important to have a site map which makes it easier for users to get the desired information they require without going from one page to another looking for it. Which can be frustrating for them and put them off towards your website. With more than half of internet users using mobile devices, search engines give preferences to websites that have a responsive web design. A responsive design means the website automatically adapts to the screen size the site is accessed on. It enables users to browse through the website with ease, giving the same functionalities they would have on a desktop site on mobile devices. Websites that aren’t responsive are hard to navigate on smaller screens and ruin the overall experience for users. If you have videos, be sure to embed them to your site from a video streaming website rather than host them on your website. Make sure you have a good hosting provider. There are numerous other elements that impact site load speed such as the number of plugins you use for WordPress websites, HTTP requests, number of images, and so on. But ensuring that you design and develop the website keeping speed in mind should greatly impact its load speed. Social media platforms are a great way to direct traffic to your website. At the same time, you can also direct traffic from your website to your social media pages. Search engines give preference to websites that promote traffic to social media, it makes them more connected in a way. Therefore, it is important that you have links to your social media pages on your website to make it more holistic. Once you have the design and development aspect of the website covered, you can shift your focus towards on-page optimization. The use of your targeted keywords, blogging, properly adding titles to images, amongst other things. If you truly want your website to rank high on search engines, then you need to focus on design and development as much as on-page optimization. It may just be the difference that edges your website from the competition, taking it to the top of search engines.